I am in the early stages of planning my very first layout. I have a handful of questions that I wanted to run by the communiy. I could probably research them on google but I've always been a big fan of forums and the input/insights anactive commity can provide. To start, I would love any input anyone has for a layout. I've started to bookmark layouts I've seen online thay I like. I'm going with an N scale and have a maximum layout space of 8'x3'. I could go slightly larger than 8' if needed but want to stick with 3'. I would like something that will have an enjoyable continuous run that I can sit back and watch. I'd like at least one tunnel and one bridge and hopefully a small town/village/industry. If possible a street car (i know this might be a stretch given the small space). Let me know what you think. 1) Is there an easy way to make sure you are sticking with a specific era/date for not just the trains but the scenery? 2) Are different brands of track compatible? What about different brands of engines and cars? Any general suggestions you may have for a complete beginner are greatly appreciated. for an N scale starter layou, a hollow core door makes a good base. most tracks are compatible, an exception would be those that have plastic roadbed attached. 2b. Yup - although this has some caveats. -- Couplers => Last I looked, N scale still kinda defaulted to whatever the N scale variation of "Horn-Hook" couplers was (rather than say Microtrains knuckles). However, if you're picking up stuff from say a trainshow, you may get a bit of a grab-bag. -- Locomotives -> Your biggest problem is going to be gearing and motor speed (even two identical models by the same manufacturer), so if you're planning to run multiple-unit lashups, things can get tricky. This can be mitigated pretty easily with DCC (you can program the speeds for each locomotive), it just takes some time. Welcome aboard! You've turned to the right place for helpful advice. The suggestions offered here are quite valuable in keeping your enjoyment high. To keep it at such levels, I suggest doing some reading online about what you want to model in the layout (just running a loc, switching, operations, etc.). Associated with that is considering how much time and money you have to devote. Great questions about what you're looking to model. 1. To keep with sticking to a specific era, look at pictures of what was around in your era and location. You also can read on walthers.com web page to some helpful introductions on their structures by looking online at the instruction manuals. 2. I use Micro Engineering code 83 track and its completely compatible with my Atlas turnouts. HO cars generally run on HO track. Some cars derail if you make curves too tight. Also, some here experience issues when two cars are next to each other. 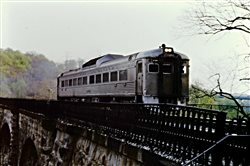 Is there an easy way to make sure you are sticking with a specific era/date for not just the trains but the scenery? For me, automobiles on the layout are the clearest indication of era/date. 1) Is there an easy way to make sure you are sticking with a specific era/date for not just the trains but the scenery? 2) Are different brands of track compatible? What about different brands of engines and cars? Welcome to the forum. We are all ignorant of something. For scenery, you have to use common sense. You are not going to have a UPS building in the steam era. Bridges last for decades, the Thomas Viaduct for centuries, but wooden bridges aren't part of the modern era. Learning what rolling stock is appropriate is much harder if you are leaning toward being a rivet counter. Your general knowledge of the past isn't helpful in knowing what developmental changes or legal requirements happened in any given time frame. Couplers have changed overtime, talking model railroad couplers. They now are much more protypical in appearance. Older cars and engines will have non-compatible couplers, but these can be replaced. It´s the place to come to to get your questions answered - and sometimes to get answers for questions you have not asked. From your post, I gather you model in N scale. Contrary to what others may say, not all track is compatible. Code 80 track is mainly compatible, unless you chose to go with Kato Unitrack, which has a molded on roadbed and a bespoke rail joiner system. Linking up with other btands requires a piece of transition track. There is also code 55 track available, which is much finer looking than code 80 track, but compatibility may be a question here. All north American N scale locos and cars use a type of knuckle coupler, which should be compatible. Older equipment from the 1960s, 1970s and into the 1980s may still be fitted with the Rapido-type coupler, which has been adopted as a world-wide standard outside of the US, despite is rather unsightly, bulky appearance. 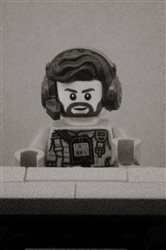 As a new member, your post will be on moderation for a short while, so don´t get angry when your posts take some time to appear in the forum. Code 80 track is mainly compatible, unless you chose to go with Kato Unitrack, which has a molded on roadbed and a bespoke rail joiner system. Linking up with other btands requires a piece of transition track. There is also code 55 track available, which is much finer looking than code 80 track, but compatibility may be a question here. Yeah, that's a good point -- although from what I remember with generic track (i.e. none of the molded-on roadbed stuff, which is all pretty much "stick with one manufacturer" ) that it all worked as long as you stayed in one code. Transition from C80 -> C55 can be done relatively easily through the use of "transition joiners" IIRC. The problem with relying on Google and for that matter, even these forums, for advice is that they are unedited and everything comes across as equally plausible. There are good books available from Kalmbach and elsewhere that deal with basic questions a begginer has. Don't rule them out. the manufacturers are doing a better job at stating eras for their stuff. The Walthers sales flyer is too, for that matter. to the Model Railroader discussion forums. Your first few poists will be delayed by the site moderators, but that will end pretty soon. Please stick around, join the discussions, and keep us updated with your progress. Your space sounds good. I would drop the width to 30 inches to make it easier to reach all the way across. My first N scale layout was 30 by 72 and I had a great time with it. 1) Good Luck! I model a specific day, August 3rd, 1954, and I still find anachronistic mistakes here and there. Just keep researching, but don't become paralyzed by uncertainty. A few mistakes will creep in. 2) In N scale, most everything that is not "code 55" has compatibility that is really good. Some really old stuff might give you problems, but overall, everything works together well. I would suggest Kato Unitrack for your first layout just because it is almost foolproof and reduces a lot of tedious work. Doesn't Peco N-Scale track have some funky cross section that only works with other Peco track? The benefit is it's durable while still representing smaller sized rail. Most of what I know about N-Scale comes from David Popp's New Haven layout he covered in his how to books. Those might be worth picking up if your interested. 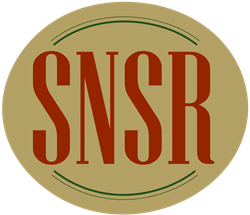 Two prominent N-Scale modelers in my area I know (but have yet to see their layout in person) that I can recommend as possible examples to look at, is Adam Pinales's N-Scale Soldier Summit and Chris Brimley's Hudson Terminal Railroad. Both have Facebook pages you can contact them by. For my purposes, I'm not narrowing things down too tightly to give me a little flexility. I'm covering a seven year period from 1977 - 1983 to allow me to run trains that fit any year within that. It's a personal choice for each modeler. Easy? The more research you do the more you can narrow things down. In general, yes to all of the above. For track it may be easiest to stick with one code for a section of a layout. N scale has code 80 (the most common for a long time but oversized) and code 55, which is finer scale and more realistic looking. You can join them but may need to shim the smaller code 55 rail up to match the taller code 80 where you transistion. Code 55 Popular with people who want closer to scale rails. PECO Track Makes PECO55 compatable with code 80, Peco55 Compatable with Code 80, not comparable with real code 55. All the brands of locomotives and cars work together, but may have to replace couplers in some cases. See the MicroTrains site for conversions to MicroTrains (MTL) couplers. For some coupler conversions (if operating couplers are not important) dummy couplers can often be used http://www.foxvalleymodels.com/NParts.html They can be hand coupled to MicroTrains. For the scenery features that you want you will be best off building an layout that the frame is “open grid” or cookie cutter” as apposed to being on a flat piece of plywood. Either of these styles will allow you to have a bridge and a mountain by having the scenery elevation change while the track has little or now change of elevation. A mountain with a tunnel which is next to a bridge can be on one side of the layout while the town and industry can be on the other side. Skip the street car because that is a whole other layout. Depending on if you want to walk all around the layout like it's a table or just view it from one side will help you decide where to put the mountain and the town. If you are going to walk around all of the table then the mountain can be a view block in the center. If it is going to be up against a wall then the mountain shold be up against the wall. Anyway don't worry about getting it right the first time. Most people build several layouts with each one getting better than the last. Hopefully you've made the rounds of YouTube channels such as Luke Towen, Kathy Millatt (I think she does project for MRVP as well), Everett Junction, Marklin of Sweden, heck even the Terrain Tutor (war gaming, but it works), and many others as they demonstrate how making great scenery can be straight forward (if a bit tedious). The common theme with this lot is foamboard (insulating slabs) used as the scenic base, so maybe splurging for a wire foam cutter and some foamboard wouldn't be a bad idea.
. During the far-off space years of the 1990s (e.g. Space 1999), they cranked out hundreds of volumes of Star Trek novels based on all the series at the time. I recall one concerning the first mission of Spock and Kirk where Spock gets sent back in time to Earth (time-travel in Star Trek? Say it ain't so) around the mid/late 2000s (IIRC), and after initially denying to himself he was stranded in the past, come to grip with that after seeing "all the antique vehicles passing by with century-old music playing out the windows". Wow... That you all for the great responses!!! I've watched a few youtube videos since yesterday and I like the idea of the foam paneling to create the landscape. I've also picket out a few layouts I like. Using a door seems intriguing as well, especially since I've found layouts specifically deigned for those standard dimensions. Are there any "Essential" tool kits you would recommend to get started? Or, would you recommend just picking up items as the need presents itself? Does anyone have a preferred affordable track brand they would recommend? Era correctness. Your best bet is photographs. Google will find a lot of 'em. There is very little color available before 1945, so for earlier periods you have to guess at colors. Old magazines are good sources, and you know the latest date of any photograph from the date on the magazine cover. Automobiles are distinctive. Back in the good old days, when Detroit employed stylists, most people could tell the year of a car with just one glance. Many can still do that with model cars. Buildings last for ever, so a modern railroad will run past buildings that may date back to the Civil War. Certain building styles, white glazed brick gas stations and McDonald's Golden Arches for example, have definite dates. The white glazed brick gas stations were replaced with less conspicuous red brick in the 1970's. McDonald's dropped the Golden Arches in the 1980's. I am in HO, so I don't know N track types that well. In HO, track that is just rails and ties intermates. Track with a plastic ballast/roadbed attached won't mate up without some kludging around. I would expect N to be the same, but I don't really know. In HO, code 100 rail is common and oversized. Code 83 is closer to scale. Painted rail brown, code 100 rail looks a lot smaller than it does left bright nickel silver. If the same choice exists in N, I would tend toward the larger rail size and paint the rails. "Track Planning for Realistic Operation" by John Armstrong is invaluable when you are planning and building a layout. An around the walls layout will give you more layout area and less aisle area. You can only reach in 2 maybe 2 and a half feet to lay track, rerail trains, fix anything. Which limits the width of a tabletop layout to 5 maybe 6 feet. If you have straight runs of track going down the edge of your benchwork, the line of the track emphasises the edge of the benchwork. Try a few gentle curves to break that up. A nice deeo river gorge can be spanned with an impressive bridge. You don't have to do the bridge first, just leave a place for the river gorge in your plan and do it later. I am a bit partial to N scale Kato Unitrack, as it is a very reliable track system. It´s got code 80 rail and has a molded-on plastic roadbed, which doesn´t look thrilling at all, but can be made looking great with just a little bit of effort. Kato offers a great variety of switches and radii, although curved turnouts are still missing. 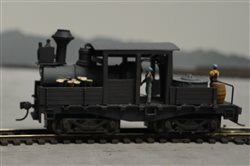 MR´s 2010 project layout "The Salt LAke Route" used Kato Unitrack. I usually buy when needed, and most tools are available in good hardware stores. All "micro" hand tools to work on wood/plastic/metals usually find a purpose in the train room... Safety goggles and mask should probably come first. You guys rock! I like plans Plan Name: 2x40031 and Plan Name: 78x36_07 on this page http://www.cke1st.com/m_train2.htm Any idea how i would figure out the grading? Or, will that require some trial and error? Thanks for all of the great responses! I had some issues logging in that first week of membership and decided to try again this afternoon. I hope it's not "taboo" but i ended up purchasing the Atlas N scale Scenic Ridge Track pack since I do like the layout and it's about the size I had in mind. Going to start on setting up my base next week. I like the videos I've seen using foam, so I'm going to make a tabletop with plywood and then place the foam on top. So, I purchased the Atlas "scenic ridge track pack" to take the guess work out of a layout. I will be doing the rest of the layout from scratch. I put together a 3'x6' table top with plywood and table legs. I've ordered some random tools (foam glue, hot wire cutter, a few incline foam pieces). I'm planning on picking up some of the pink/purple foam from Home Depot to use for the layout. So it looks like i could be laying track this week! I had my heart set on an older style steam engine but I think I'm going to go in the opposite direction and pick up the Kato California Zypher. Any suggestions on a power supply?? I've also decided to keep the stuctures few and far between on my layout and focus on trees and greenery. I really would like to create a Redwood forest on the mountain but the only ones I've found are about $20 for a 3 pack. Any suggestions on buying bulk redwoods or a good turoial for making my own? Checking Kato's web site, They have a power pack they call the SX. I'm not sure how it compares with other power packs, or how much "power" your going to need. And for redwoods, I'd check videos, maybe do a search for N scale redwoods? There's got be stuff out there. Buying in bulk probably won't happen unless you build your own. So anyway, good for you, your getting started! That California Zephyr looks nice! Couplers => Last I looked, N scale still kinda defaulted to whatever the N scale variation of "Horn-Hook" couplers was (rather than say Microtrains knuckles). The MT coupler is the standard coupler of choice by serious N Scalers as is body mounted couplers and has been for several years..
Atlas locomotives work well together in DC as does the Walthers N Scale former Life Like P2K line.. Thanks guys, I purchased a basic power pack (Athearn Trainpak) on amazon along with atlas wires that link into the track (not sure what they are called offhand). I just made a new thread stating I purchased the California Zypher lastnight. Very excited to get the track laid. I'll definitely check out some videos on tree making. Thanks for the input. Welcome to the Forum Steven. I think as far as track goes, it's a matter of preference. If you stick with the quality name brands you should do okay. As far as couplers go, I categorize it with rolling stock. I only buy Micro Trains. They are the trouble free Cadillac of N scale. This is the most important issue of the hobby if you don't want derailments. The other important issue is good track-laying. I had cars that weren't MT, I just bought MT trucks for them. Now they work just as good. As far as era goes, MT has the era right on the back of their jewel case, no guessing games there. As far as buildings and structure on your layout. I would just look at some pictures of the era you are modeling and get a feel for it. Unless you're trying to model an exact replica of something, I always say close enough is good enough.... Just have fun. Does it matter where on the layout I connect my power supply? Using the Scenic Ridge track layout. But I can't access any of the thread. Maybe management deleted it. There were problems getting the track to fit together to fit the plan. I don't remember if there was a resolution. If you told us whether you are running DC or DCC, I missed it. In a large layout, with DCC, you want to connect to the miss in the middle of the layout to minimize voltage drop over distance. DC is more forgiving, to an extent. The gold standard is a feeder or a solder joint to every piece of rail as rail joiners can become unreliable with painting, ballasting or just time. In DCC we do this with a larger wire called a bus (stranded) and feeders 22 ga solid from bus to track. Yours is not a large layout. I would not solder all the joiners, to allow for expansion or contraction and none of the turnouts. A feeder every 6' of track should be adquate. No stupid questions my friend. Regarding era and scenery. I think it's best to take it one item at a time. When looking at a certain type of structure, google that type, a year and possibly also an area or city. You'll get plenty of examples of what was present at the time. The later your era the easier this is since so much of the built environment (especially masonry structures) is quite old. If you find a particular kit and want to know if it is appropriate then that's the kind of question that model railroad fans are always happy to help with. 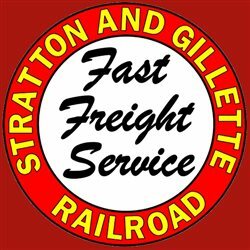 One thing you'll find about this hobby is that model railroaders LOVE to show how much they know about model railroading/history/etc. 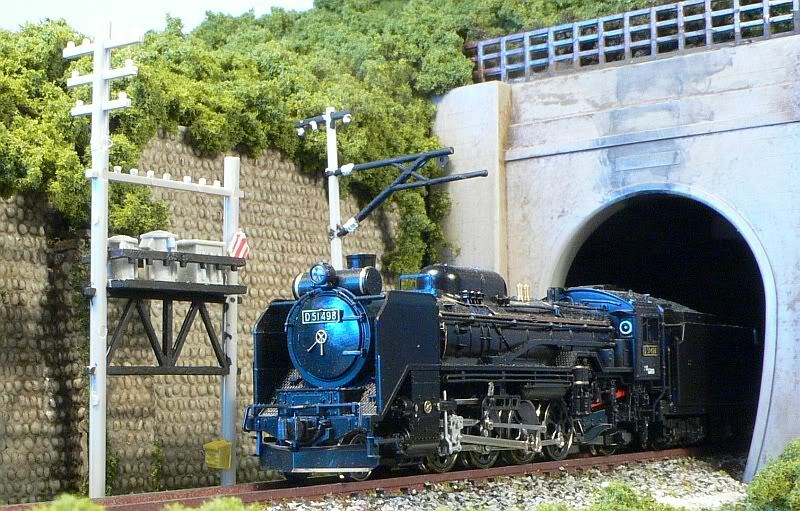 Visit the Chicago Valley Railroad for Chicago Trainspotting and Budget Model Railroading.